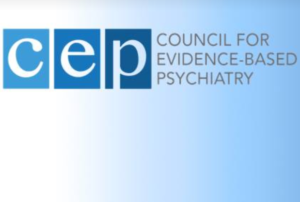 From the Council for Evidence-Based Psychiatry (CEP): “We thank Hayes and Jauhar for blogging about our recently published systematic review about withdrawal from antidepressants thereby keeping the spotlight on a vitally important issue impacting millions of people around the world. After decades of silence and minimisation, any discussion that maintains public attention is invaluable. I’m glad to see that the spotlight has been held on the “antidepressant” fiasco. There’s quite a few people going through very unpleasant longterm “antidepressant” withdrawal syndrome that don’t even know they have it. But what about Neuroleptic Drug Withdrawal Syndrome (and Neuroleptic drug Withdrawal Rebound Syndrome)? The British Association of Psychologists have stated, that according to their information, that they can successfully help people that Psychiatrists prescribe Neuroleptics to (- which I firmly believe that they can).